Need some May Social Media Ideas? In this post we share a packed list of Social Media Holidays for May, with bucketloads of social videos, GIFs and more! You’ll never run out of May content ideas again! We’ve rounded up a list of popular and international holidays as well as some weird and wacky celebration days for May. You won’t run out of ideas with our May Social Media ideas – from daily to weekly and even monthly celebrations in May. Bookmark this post and keep it for later reference on an annual basis. What Comes With The May Social Media Ideas? a handy infographic to use as a quick reference guide for the main holidays for the month of May. Ideas for what to create in terms of visuals and how to create them – focusing on videos and GIFs…anything that moves, but of course you can use this post for static images and visuals too. Use your imagination! tools and resources for creating visual content, using the Social Media Holidays as your inspiration. Refer back to this calendar at any time! Creating content can be time consuming. The key is to schedule it ahead of time. Here are a few tips to make it easier for you! . Use templates. I’ve recommended a bunch of tools at the end of this post and they include templates to help you design. Let the templates guide you! Why spend ages creating a design if you are not a designer? The designer has already done all the hard work creating templates for you – leverage them and use them to create something custom. Edit just the text or photo or colors, and not every single element of the design… the more you change the more chance you have of messing it up if you’re a non-designer. (sorry, but it’s true and that goes for me too!). Create visual content in batches. If you’re going to get into your creative space, make it worthwhile…. create a bunch of things at once – videos, GIFs, even regular images. With batching you are creating 5-10-20 pieces of content, not just one. Once you start creating you’ll be on a roll, so it’s much quicker to create more than one. Then you can free your time up for other important tasks. 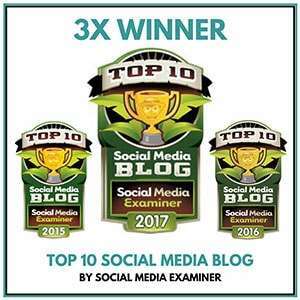 Create short social video for social media post – the focus of this post is more about short, easy consumed videos, vs long form YouTube video content (although that is also awesome). Think shorter, 15-30 second videos. Get more tips for creating 15 second videos, in this post. Create content we can easily consume. This includes quotes, tips and funny observational humour posts – great for engagement, especially on Facebook where we tend to scroll through and consume content quickly. Add more Personality with GIFs – Whether creating your own GIFs (I’ve added tips below for doing just that) or sharing one of millions of GIFs in the Giphy library, you’ll add humour and personality with a GIF. 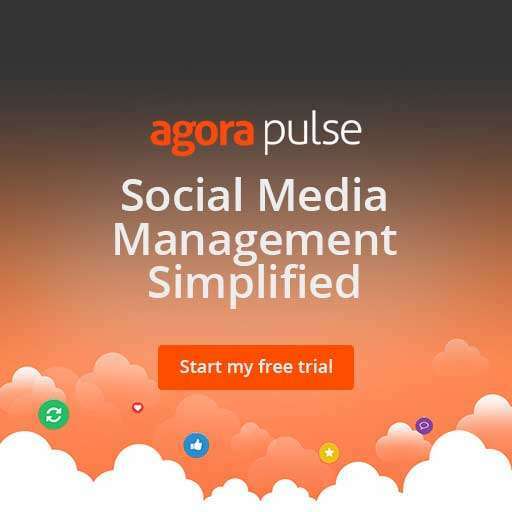 Add them to your social media posts, emails or blog posts. 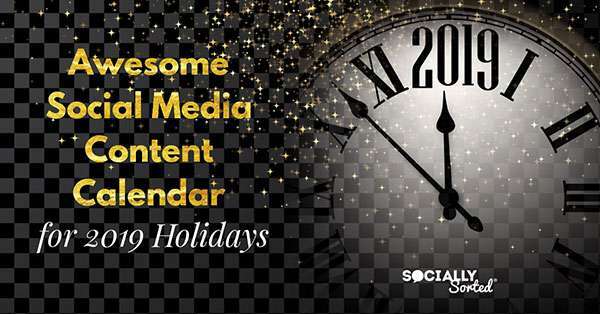 Want the full 2019 Social Media Holiday Infographic? Click here. Create a Social Video – create a Top 5 list or a how-to video. Go behind the scenes of your business (where it relates to the holiday in question), create a tutorial, or make a quote video. Get creative around the days we’ve shared below. Is it Star Wars Day? Share some fun at your office if you dress up for May the 4th. Or share some Star Wars Facts. Use a video tool like Wave to help you. Create a fun GIF that reflects the day or holiday in question. Or share a GIF direct from Giphy to add some humour and fun! Create a static image around the holiday -it could be a quote, a saying, a meme, tip, or photo that celebrates the day or image with or without a text overlay. I’ve included at least one holiday “day” for every day in our May list of social media ideas and holidays. 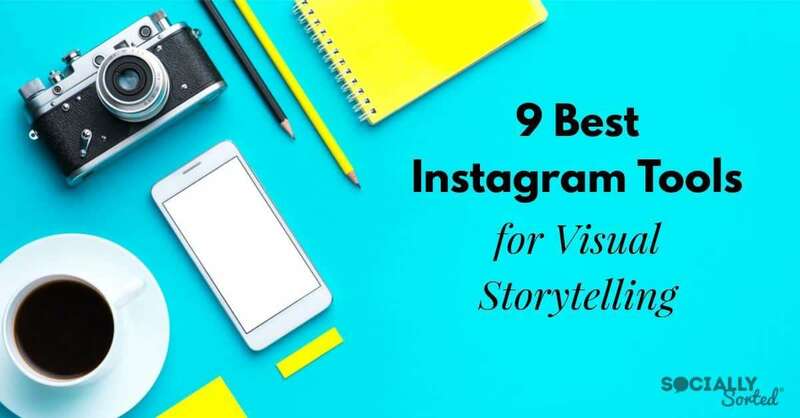 I’ve also included hashtags, tools, tips and resources for creating visual content in 2019. This post will be updated annually to check dates. We’ll also add content as we create or discover it. So keep it bookmarked to refer back to! 1. May Day – celebrated around the world on the 1st May this is a spring time festival. Use #MayDay to celebrate or post about it. And if it’s not Spring in your part of the world then go for National Chocolate Parfait Day instead! Find out more here. Check out templates like this in Wave! Or grab my tips at the end of this post! Oh and if you love Ukelele Music, Wave has thousands of audio clips ready to use …including some fun ukelele tunes! NASA has GIFs for Jupiter, Mars and all the Space things! If you’re not into Space then it’s also WordSmith Day (#WordSmithDay) observed annually on May 3rd. Share some wise words, poetry or quotes from your favourite Wordsmith! Note: a Wordsmith refers to a person who works with words; a skilled writer. Refer to No 14 for a WordSmith quote. 4. Star Wars Day– If you haven’t been living under a rock every year, you would know about Star Wars Day. It’s celebrated every year on May the 4th so go crazy posting about your favourite Star Wars characters, quotes or movies. May the 4th Be With You! Use the hashtags #StarWarsDay & #MayThe4thBeWithYou and find out more from Lucas Films here. 6. Tourist Appreciation Day – as an avid tourist I’m all for appreciating tourists. I’ve also had the fortunate experience of speaking at tourism events and for tourism organisations around the world. This is a great opportunity to celebrate the humble tourist and promote local operators! Partner up with other local operators and thank your tourists (and locals) while promoting each other’s businesses! Bring out your inner Carrie Bradshaw and embrace this classic cocktail on National Cosmo Day. Cheers! PS here’s a few more “cocktail days of celebration”. And check out this account on Giphy by designer Marina Esmeraldo – she has great original cocktail GIFs! 8. National Receptionists Day – Celebrate your can’t-do-without receptionist or office manager today. Maybe let him or her take over your Instagram Stories or Facebook account with some behind-the-scenes content or tips for your industry! Find out more here. 9. Europe Day – From castles to churches to beaches, snow-topped mountains, museums and colorful languages. Today is a day to post about Europe. Use the hashtag #EuropeDay. 10. National Shrimp Day – Shrimp, Prawns, Bubba Gump… today is about all things crustacean and shrimp! Shrimp cocktail anyone? 11. Brunch for Lunch Day – always observed the day before Mother’s Day #BrunchforLunch is another excuse to have brunch with your Mum – or just to have Brunch. There can never be too much brunch. 13. Top Gun Day #TopGunDay is all about feeling the need… the need for speed. If you are a fan of the movie Top Gun, or maybe your audience is, then today is the day to reminisce about Goose and Maverick! Share a movie clip or GIF! Find out more here. Today is also National Cocktail Day. Bottoms Up! 14. Dylan Thomas Day #DylanThomas is a celebrated Welsh Poet and Writer. Share a quote by Dylan Thomas. Or just a quote about the power of the written word. 15. International Day of Families – Today is all about celebrating the family – in any shape, form or size. This is an official Unesco day of celebration. Find out more here. It’s also National Chocolate Chip Day, which might be the perfect snack to enjoy with your family. Or wine. 16. 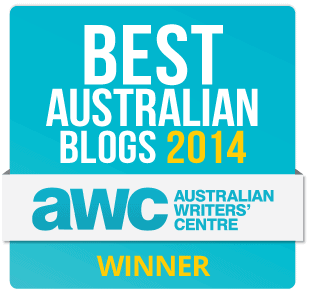 National Biographer’s Day – Have you read a great biography? Maybe your audience has. Ask them! The 16th May is Biographer’s Day to commemorate the anniversary of the day that Samuel Johnson met his biographer James Boswell in London – on the 16th – in 1763. It’s a day to honor our biographers and talk about their works… the books we love to read about people in history – a written account of another person’s life, not to be confused with an autobiography. 17. Endangered Species Day – it’s a day for talking about Endangered Species and the protection of the animals we all love. Find out more here. International Virtual Assistants Day – if you work online then there’s a good chance you’ve used the services of a Virtual Assistant sometime. I know that many parts of my business couldn’t surivive without them over the years. If you have a virtual assistant on your team, celebrate them today or feature them on your Instagram Stories! Maybe do a serial story takeover if you have more than one VA to feature! A day of global whisky appreciation and perhaps a wee dram! Find out more about World Whisky Day here. If you’re wondering what the difference between Whisky and Whiskey is – it’s just the country of origin. The Scots use Whisky and the Irish use Whiskey. Speaking of the Irish, Jameson Irish Whiskey have a great GIF account, packed with great GIFs and GIF Stickers (like the one above) that you can use for Whisky/Whiskey Day. It’s also International Museum Day We’re not sure if drinking Whisky at a museum is politically correct but it sure would make it fun! 20. World Bee Day – If you didn’t know already, bees have had a hard time of it lately with disease killing off huge colonies the world over. It’s rather scary given that bees are responsible for the pollenation of a a huge percentage of our food crops, so we need to protect them for more than honey. Put simply, without bees, we’d probably starve, so they are important little critters. Find out more about protecting bees here and share some bee related content around World Bee Day so we can all do our part to protect them. Today is also National Be a Millionaire Day. 21. International Dinosaur Day – is held annually on 21st May around the world at various sites, museums and exhibitions. Please note that there are various other local Dinosaur days held throughout the year in different countries but this one is the international date. 22. International Sherlock Holmes Day– All things Dr Watson and Mr Holmes are celebrated annually on 22nd May. Find out more here. It’s celebrated on the birthday of the author of the Sherlock Holme’s books – Sir Arthur Conan Doyle. Perhaps a quote from the famous Dr Holmes is in order? 23. World Turtle Day – today is all about the turtle and a popular day worldwide to celebrate our ocean wildlife. Find out more here. 24. Asparagus Day! Yes, Asparagus has a day – love it or hate it. Find out more here. 25. Geek Pride Day – Are you a proud Geek? Today is the day to promote geek culture celebrated annually on the 25th May. It’s also National Wine Day in the US, so geek out while drinking wine. 26. World Paper Airplane Day – Paper planes have held our fascination over decades and today is World Paper Airplane Day. I don’t know about you but this guy has some mad paper plane making skills – watch the video and share it with your audience! 27. Memorial Day US – #MemorialDay is one of the biggest holidays in the US and marks the day to recognise the women and men who have served in the military – so we’ve added it to our May Social Media Ideas. It’s also a day that is mostly spent around lakes and cabins … as it’s one of the first official holidays of the summer. Use the hashtag #MDW (for Memorial Day Weekend) or #MemorialDay and fire up your BBQ! Denyse Mitterhofer has some great food GIFs on her Giphy Channel! 29. National Biscuit Day – this is all about the sweet variety of biscuit found in countries like Australia, New Zealand and Great Britain. Time to break open your packet of Tim Tams! PaperClip Day– #PaperclipDay is because we can’t do without them, or at least for years it’s been that way… probably less so now that we are so much more paperless. Themes around paper supplies and organisation could also work for posts around Paperclip Day. 30. World MS Day – Knowing many friends who are livng with Multiple Sclerosis this is an important day on the annual calendar for me. Find out more about World MS Day here and use the hashtags #WorldMSDay #MyInvisibleMS this year. 31. World No Tobacco Day #NoTobaccoDay is a day initiated by the World Health Organisation, about the impact that tabacco has on the health of our community the world over. Use the hashtag #NoTobaccoDay in your posts to support the goal of reduced tobacco consumption and stricter controls for tobacco. On a sweeter note it’s also World Macaron Day. Sleep Awareness Week – held from the 10th to 16th May in 2019. National Police Week (US) – Sunday May 12th to Saturday May 18th in 2019. Here’s a list of tools for you to find Video content ideas to create videos or GIFs quickly and easily for your social media channels. Wave is is my go-to video tool for creating easy-to-share social video. The thing I love about Wave is their template library, huge library of image and video assets (included in your monthly membership), moveable text and the ability to add stickers to your content. Giphy is the best source online for finding GIFs to share from their GIF library. Simply go to their website and search on the hashtags that you want to find GIFs for. Get creative with your hashtag combinations and you’ll find all sorts of gems! I also have a branded Giphy Channel and will be sharing my GIFs in these monthly posts so you’ll find some fun ones in there to share too. You can find out more about Giphy in this post and in this post. Hot Tip: You can also access any of the Giphy creations from Twitter, Facebook or Instagram Stories! Simply use the Giphy/GIF search and enter in the hashtag you want to use. Because I have a Giphy Channel if you enter in #SociallySorted on Instagram Stories you can find all of my GIF Stickers too! This is one my favourite GIF editing tools. It’s super easy to edit, crop, create GIFs from images. I love that they also let you host GIFs on their platform – which is great for quick GIFs that you want to create and share on your website or in an email (when maybe you don’t want to host them publicly on Giphy). A new tool I’ve discovered that is GREAT for creating short stop-motion animation videos is Life Lapse. Check it out in this post and you can download it here ready to use for creating social videos to post on Instagram, Facebook, websites and more! Do you schedule your content ahead? What are your Favourite May Social Media holidays and have we missed any?